Technically advanced wood finishes for today’s furniture and joinery industries, from the UK’s largest manufacturer. We develop, manufacture and distribute technically advanced wood coatings to over 7000 discerning customers across the world. Originating in London, England in 1902, Morrells have grown to become an internationally-recognised brand. From small bespoke joiners and furniture makers to large-scale mass production, we consistently supply our customers with high performance products and have diversified our product range to bring our expertise and high operating standards to the wider wood finishing industry. Fillers, solvent- and waterborne stains for hand, spray and dip applications, plus patinas for authentic ageing. Both coloured and colour-matched stains are available, and can be used to tint Morrells lacquers, depending on the type of lacquer used. Wood Stains - available in both fast and slow solvent types for a variety of applications. 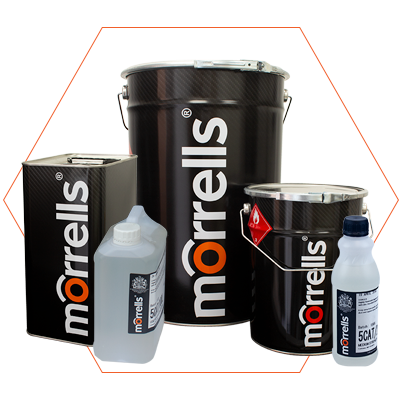 Morrells Light Fast stains can be used to tint Morrells Pre-Catalysed and Morrells Acid-Catalyst lacquers and are available as a spirit blend only, while Morrells Classique stains are available in a fast-solvent Spray & Leave or slow-solvent Spray & Wipe and both can be used to tint Morrells Pre-Catalysed Lacquer. Also available is the range of Compliant Water Stains, which are compatible with Morrells Waterborne lacquers. Patina Stains - spray-applied to achieve an authentic aged and distressed effect by rubbing off edges and raised areas before being overcoated with a solvent-based Morrells lacquer. They cannot be used with Morrells waterborne lacquers or VLi products. Grain Fillers - hand- or spray-applied (when thinned 10%) and supplied ready for use to fill the open grain of timbers like mahogany and oak prior to lacquering. The standard range consists of a selection of the most widely used wood colours though a bespoke colour-matching service is available. Grain filler should be applied after staining and only when the stain is fully dry. Overcoatable with any Morrells lacquer. 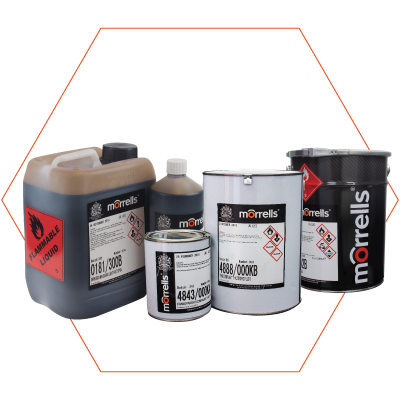 Morrells Pre-Catalysed, Acid-Catalyst, Waterborne, UV-Curable and Fastmatch colour-matched lacquers for interior use on furniture, joinery, floors and more. 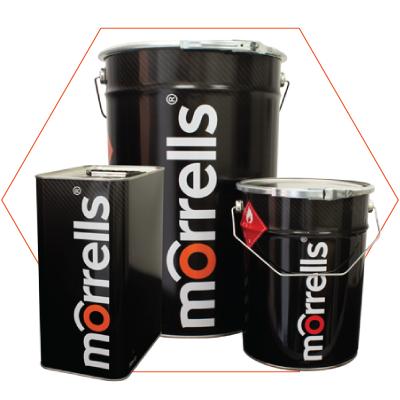 Pre-Catalysed - high solids pre-catalysed lacquer systems from Morrells are formulated to give a fuller finish with as few coats as possible. This range can be used coat-on-coat or over the recommended basecoat. Available products: 25% and 28% solids lacquers, 32% solids MDF sealer, hydrocarbon-free primer and Fastmatch colour. Acid-Catalyst - quick drying, easy sanding AC lacquers designed for spray application coat-on-coat. Formulated to FIRA 6250 - Horizontal Surfaces (excluding kitchen worktops), Severe Use for resistance to abrasion, wet and dry heat, spirit solutions and a wide range of household chemicals. Available in Fastmatch colour-matched lacquers, Very Fast Dry, High Build Fast Dry, Low Odour High Build and Extra High Solids Compliant varieties. Waterborne - a market-leading range of ultra high performance waterborne lacquers offering excellent clarity and build. Available in standard or Italian versions, Morrells Italian Waterborne Lacquers have been developed in conjunction with Technology Partners in Italy to bring an even greater level of performance, available in clear and high build basecoat as well as white and pigmented Fastmatch one- and two-pack. 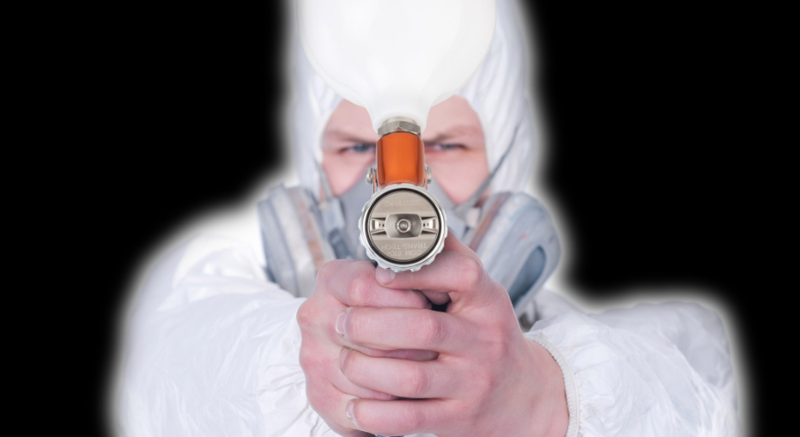 UV-Curable - the majority of Morrells' UV products contain no solvents, hence no emissions. 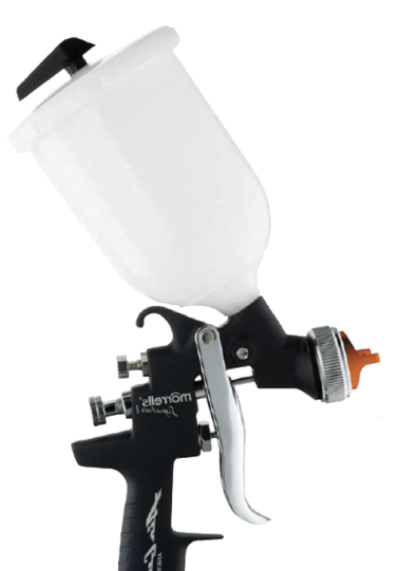 Available for hand- and auto-spray as well as rollercoater application. Coatings for floors, fire-retardancy, furniture, interior and exterior joinery and antimicrobial specifications. Developed and manufactured in-house, Morrells Architectural Coatings are high quality, high performance specialised wood finishing products for architectural specification. As well as our standard ranges of interior lacquers, we have developed our Architectural Coatings range to meet demands of domestic and commercial developments. xerofire® Intumescent Fire-Retardant Coatings - leading intumescent wood coatings, developed to upgrade or maintain the fire-rating of wood-based substrates to achieve top rating (Euro Class B-s1,d0) in the European Fire Standard EN13501-1 (testing conditions here). The xerofire® Fire Retardant Coatings system comprises of a 2K Waterborne Intumescent Basecoat in combination with a 2K Acid Catalyst Clear Topcoat providing a high quality and excellent aesthetic furniture grade finish. omnia® Exterior Joinery Coatings - a multi-component system offering ultimate protection against UV, weather damage and wood rot for exterior joinery. Consisting of omnia® Wood Preservative, End Grain Sealer, White Primer, and Clear and Opaque Topcoats, omnia® has been developed to multiple British Standards for Exterior Joinery. Also approved for use on Accoya®. medicote® Antimicrobial Furniture Coatings - protects against the growth of microorganisms (such as MRSA, E. coli, A. niger) on the surface with a kill rate of 99% within 24 hours while still offering FIRA 6250:2005 Heavy/Severe Use on Horizontal Surfaces (excluding kitchen worktops). The risk of deterioration and discolouration of the film, caused by microorganisms, is greatly reduced through the use of antimicrobial agents in this range. Available in Acid-Catalyst, Waterborne and UV-Cure varieties. induro® Floor Coatings - consisting of sealers, waterborne one-pack, two-pack, anti-slip and slip-resistant polyurethane lacquers, oils and maintenance products, the induro range offers a product for all types of traffic, while ensuring optimum sealing and maintenance. Also offering antimicrobial resistance, induro® the ultimate complement to a wooden floor with a deep natural colouration and extreme resistance to wear. holzol® Wood Oils - a technically advanced range of oils blending plant-based ingredients with hybrid natural resins to achieve outstanding performance. This makes holzol® more efficiently absorbed, coating the internal structure at a molecular level and providing an unsurpassed level of protection. Included in the range are food- and child-safe products, furniture-grade oils, exterior protection and staining, anti-slip and rapid dry time. 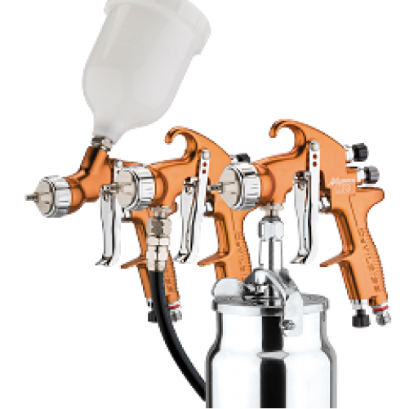 The Sprayshop® brand from Morrells® is a range of spray and finishing essentials, such as spraying and sanding equipment, adhesives, accessories and other consumables. These are supplied to the wood finshing trade via our nationwide network of trade counters.